All it took was a single tweet counting up to 21 and the TV world was changed forever! In a video published on its social media pages, Wolf Entertainment announced that NBC has renewed “Law & Order: Special Victims Unit” for a record-breaking 21st season. The series becomes the longest-running primetime live-action series, surpassing previous record holders “Gunsmoke” (1955-75) and mothership “Law & Order” (1990-2010), each with 20 seasons under their belts. 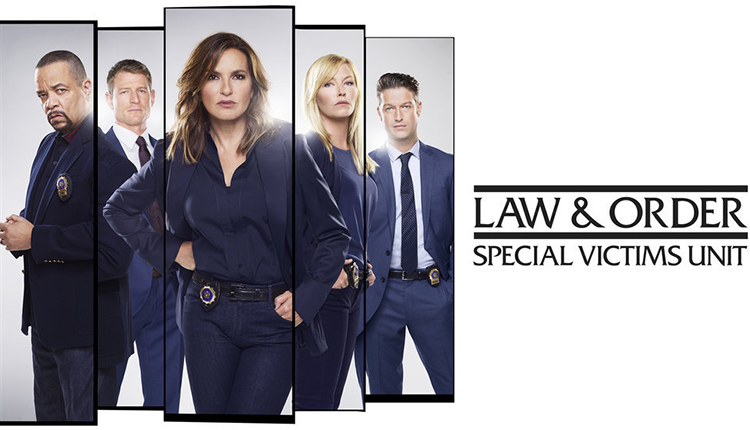 The series, which stars Hargitay as Lt. Olivia Benson, chronicles the lives of the Special Victims Unit of the New York City Police Department, an elite squad of detectives who investigate crimes of sexual assault, child abuse and domestic violence. Lt. Benson is now the longest-running female character in a primetime live-action series. The series also stars Ice T as Sgt. Odafin “Fin” Tutuola, Kelli Giddish (“All My Children”) as Det. Amanda Rollins, Peter Scanavino as Det. Sonny Carisi and Philip Winchester as Asst. District Attorney Peter Stone. Thus far in its 20th season, “Law & Order: SVU” has delivered a 1.9 rating in adults 18-49 and 7.6 million viewers overall in “live plus seven day” averages from Nielsen Media Research to win its Thursday 10 p.m. timeslot among the hour’s regular dramas in the key 18-49 demo. “SVU” also leads the time period in adults 25-54 and all key adult-female demos. “SVU” is a highly time-shifted series, more than doubling this season in 18-49 rating when going from “live plus same day” to L+7 Nielsens, and adding more than 3.2 million viewers.